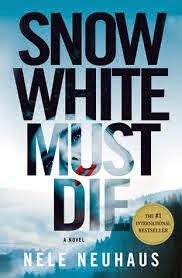 Snow White Must Die is the fourth book in the von Bodenstein/Kirchoff series and the first one of these books to be translated into English. The goodreads Mystery, Crime and Thriller group has a monthly group read and discussion, and I nominated this book for the April/May slot. It won; by default I became the moderator for the discussion. I'd wanted to read this book anyway, but this turn of events brought the book up to the top of the crime tbr pile. After reading it, I think no one will ever vote on any book I suggest in the future -- despite all of the rave reviews this book is getting, for me it turned out to be not so hot. And that's putting it nicely. Set in Germany, the novel begins with the return home of Tobias Sartorius, now 30, who has spent the last ten years in prison for the murder of two teenaged girls, Stefanie Schneeberger and Laura Wagner from the village of Altenhain. Their bodies had never been recovered, but circumstantial evidence and Tobias' inability to remember much about that night (since he'd been drinking) were enough to put him behind bars. Now he's out, and with nowhere else to go, returns to the village to his parents' home. Things at the family farm have deteriorated, his mom and dad are now divorced and the small community is not happy about a killer being back in their midst. At the same time, Oliver von Bodenstein, chief superintendent of the Division of Violent Crimes and his colleague, detective Pia Kirchhoff, of the Division of Violent Crimes, are called in when some construction workers have the misfortune of digging up a skeleton at a former military airfield. While they're waiting to hear about the forensics, they are put onto another case of a woman who had fallen off a pedestrian bridge into oncoming traffic. The victim's name is Rita Cramer, and as it happens, this is her maiden name that she starting using after the divorce from her husband, who just happens to be Harmut Sartorius, father of Tobias. The cops are lucky on this one; they have a fuzzy surveillance photo that they show to people in Althein -- but no one seems to know the person. At least that's what they say -- Pia believes that they're all hiding something. After the skeleton is identified as one of the missing girls supposedly murdered by Tobias, Pia thinks perhaps that case needs a fresh look. There are any number of people with both motive and opportunity but this won't be an easy case to solve because everybody seems to have secrets. Add to this mix a young teenaged waitress who decides that Tobias might have been framed and who does some sleuthing of her own. If the author could have left it at the basic mysteries of this story and their subsequent unravelings, it probably would have been a good crime novel. But no. First of all, this novel is all over the map -- each time I felt that these puzzles were about to be solved, the author felt like she had to add even more to tease the readers. Unlike the twists and turns that normally delight me as a crime reader, all of these additions just made me even more frustrated and wanting things to end. I can't give an example without blowing things, but trust me here. Second, while I get that authors throw in the private of lives of their main characters to make them more realistic, here the inclusion of the off-work problems of the cops was way over the top. Pages are spent on Pia's zoning problems with her home; no effort is spared to relate the story of Oliver's faithless wife and his feelings about things, and then there's the saga of Pia's ex-husband and his woman troubles, all of which combined take up way too much of this novel. A mention here and there I could take, but this was like chick-lit in the middle of a crime story. Sadly, I'm starting to see this in a number of crime novels -- if the author is aiming for the widest possible audience, she's succeeding. Personally I find it kind of a sad trend, but that's just me. Obviously a lot of people really like it. As I noted above, there are a lot of people who absolutely loved this book, so once again I find myself swimming against the tide of public opinion. Would I read another book by this author? Probably not. I think she has a good mind for crime, but frankly, if this book is an example of her writing style, it's just not for me. Thanks for your candid review, Nancy! Actually, I feel so bad about not liking it, but I do try to be honest! I hope you're well! You have a companion in your swim against the tide Nancy - I thought it a load of tosh (here's my review http://reactionstoreading.com/2013/07/14/review-snow-white-must-die-by-nele-neuhaus/). Oh good! Now I won't feel so alone. I hope the group read people don't decide to lynch me. Kind of toyed with the idea of reading this when it came out, but I don't think I'll be bothering now. Thanks. I'd hate for you to pass based just on my opinion, but there does seem to be a consensus here! 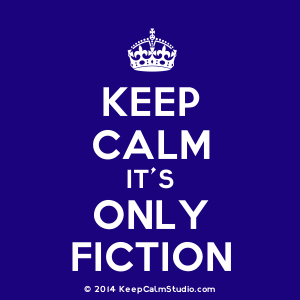 No lynching on the crime fiction blogosphere! I'm glad to read your review and comments. I was waiting to see what blogger-readers thoughts about this book. Seeing this, I'm skipping it and moving on. I meant the book discussion I'm leading on goodreads as to the cyber-lynching. The sad thing is that this could have been good if she didn't use the everything-but-the-kitchen-sink approach. That never works, and diehard crime fans know it when they see it!! The fact that you and Bernadette had a low opinion of this book is an influence, and I have too much to read to get into books like this. Update on the goodreads group read: For the most part, the people reading this are loving it. Oh well.